Zdravko Miric is a first generation Serbian-American born and raised in Northern New Jersey. Zdravko always had an inquisitive mind and would frequently get in trouble for taking random appliances apart in the house as a child! When Zdravko had to make a decision about High School, he chose to attend Bergen County Academies where he received a formal education in Automotive Technology. During his time at Bergen County Academies, he was able to compete in the Skills USA competition where he finished 1st at the State level competition and 5th in the National Competition. Zdravko was also an Automotive Youth Educational System (AYES) student. He was first placed in an apprenticeship at the age of 16. In this role, he enjoyed looking back at the day’s activities and seeing happy customers enjoying their serviced and/or repaired vehicles. It was at this point that Zdravko fell in love with the instant gratification that working as an automotive technician provides. Zdravko continued working at the dealer while pursuing a degree in Mechanical Engineering at the New Jersey Institute of Technology. While in college Zdravko was a team lead on the DARPA Grand Challenge project (autonomous car competition) as well as being a member on both the SAE MINI Baja team and Formula SAE team. Upon graduating from NJIT, Zdravko worked in both the construction and defense industry until he found his home at BMW North America. Zdravko has held various positions of increasing responsibility within the BMW organization. One of Zdravko’s goals is to give back to the automotive service technician community that provided him with so many opportunities as a teenager and young adult. 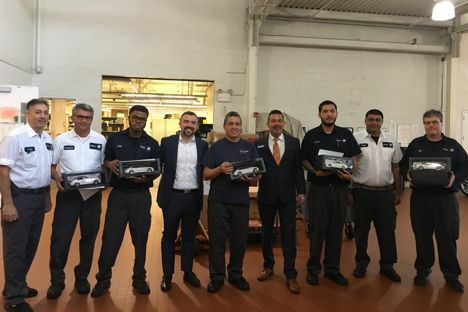 In each position at BMW, Zdravko always made sure he could help improve the quality of the technician role, whether in Warranty Analysis assisting with test plan optimization, in Technical Training helping technicians with their professional development, in Accessory Engineering ensuring that installation instructions were concise and clear or as the Regional Technical Training Manager where he leads a great team of training instructors ensuring that the region can provide the needed training to help meet the needs of the BMW Centers. 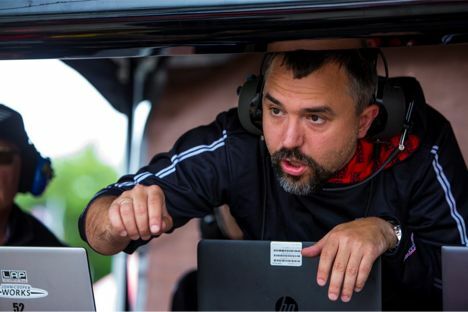 Zdravko also volunteers his time as the technical director for MINI USA’s IMSA Continental Tire Sports Car Challenge racing program. He enjoys engineering factory MINI’s beat cars that cost 3x as much to build. In 2018 he is also helping to start a technician recognition program for BMW technicians to be a guest and part of the crew for a BMW racing team at select races.